Convert Your IRA to a Roth IRA | Pure Financial Advisors, Inc.
Are you considering making the switch from an IRA to a Roth IRA? It might be a good idea! The good news is that it is now easier than ever… for the most part. If all of your retirement savings are currently in traditional IRA accounts, you may have questions on how you can change some or all of the funds to Roth status. What are the costs? Will it be beneficial in my situation? In this post, we will answer these questions and more as we break down everything you need to know about converting to a Roth IRA. Let’s dive in. 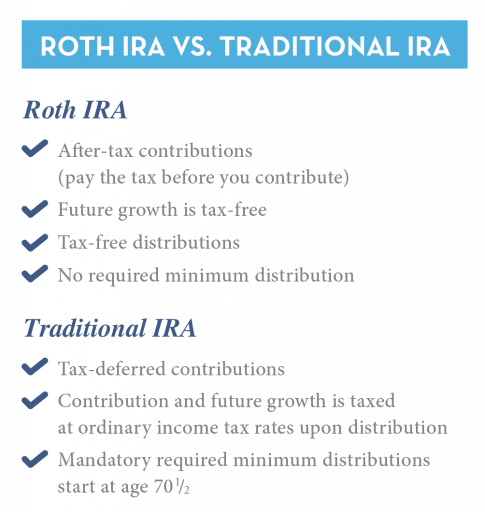 Why Should I Convert My IRA to a Roth IRA? While a Roth IRA is generally a good idea for your overall retirement planning, there is also reason to convert your traditional IRA into a Roth for additional benefits. You may choose to transfer some or all of your existing balance into your Roth IRA, regardless of your income, because of the fact that Roth IRAs have the chance to grow tax-free, which may offer you the opportunity for more savings over time. Roth IRAs can even be passed on to your heirs tax-free, making them a sound investment not only for you but for your family as well. As you can see, the tax incentives are the primary draw to a Roth IRA. Converting to a Roth IRA allows you to pay as little income tax as possible, depending on the markets, because you don’t ever have to pay income tax when you withdraw your funds in retirement. Traditional IRAs that come from employer-sponsored retirement plans, such as 401(k) plans, are mainly based on income tax deferral. These plans enable you to receive a tax break on any contribution that you make to those plans in the year that the contributions are made. In the short term, it may seem like traditional IRAs are doing more for you because you are getting a tax break up front for making contributions to your account. The money in your account will accumulate on a tax-deferred basis, which allows you to build up a healthy nest egg by the time your retirement arrives. However, when you do retire, any time you make a withdrawal from your retirement plan it will be subject to income tax at whatever the tax rate happens to be at that time. That’s where a Roth IRA differs, as there is no tax deferral on contributions. Your investment earnings will build up without being subject to income taxes. This can help because you won’t have to pay taxes on your withdrawals in the future, which many see as a massive benefit of the Roth IRA investment route. You have to wait until you are 59 ½ years old before you start taking withdrawals from your plan. You must have been participating in your Roth IRA for a minimum of five years before you can take withdrawals. Not requiring RMDs is a considerable benefit to Roth IRAs and one that will grow through the years. You will be able to continue to allow earnings to grow within your Roth IRA. This makes it much less likely that you will outlive your Roth IRA. There is no limit to the amount of the IRA that can be converted; however, the amount converted is added to your ordinary income for that tax year. The Traditional to Roth Conversion deadline is Dec. 31. While Roth IRAs are an excellent option for many people, not everyone will meet the IRS standards required to contribute to a Roth IRA. 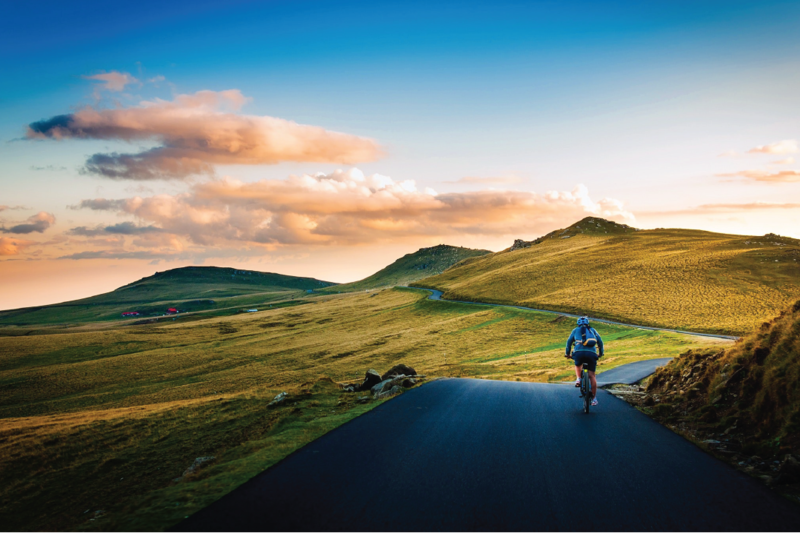 Some won’t be allowed to contribute because their income exceeds the Roth IRA income limits, which may lead them to save for retirement using other vehicles. Only recently were high-income earners allowed to convert, as the IRS used to require that individuals earn less than $100,000 annually to be eligible. Now, a Roth IRA may present an enticing option for investors because there is no longer an income cap in place. High-income earners can now convert to a Roth IRA as long as they pay the appropriate tax on the conversion. Luckily, the IRS does not file Roth conversions under its “one IRA rollover per year” rule. In actuality, the IRS states that “Rollovers from traditional to Roth IRAs (“conversions”) are not limited.” This means there may be income limits that will apply to make Roth IRA contributions, but there are no legal limits regarding conversions. A common mistake many taxpayers make is to try and get around the income tax liability they create when they make a Roth IRA conversion. They will only roll over the portion of their IRA funds that were made with non-deductible contributions. However, the pro-rata rule exists to stop this from happening. The pro-rata rule says that the tax-exempt portion of your rollover contribution must only be a portion of the total rollover. You will only be eligible for tax relief on 20 percent of your contributions. When is the Right Time to Convert to a Roth IRA? Usually, this is where we tell you that there is no right time to convert, but that actually isn’t the case in this instance. There are certain times when it can be incredibly advantageous to switch to a Roth IRA. For example, if you anticipate a significant drop in your income to occur in a coming year, but then increase in the following years, you could minimize the potential cost of your conversion by planning it for a lower income year. If you think that a Roth IRA is the best choice for your retirement, then the decision to convert will often come down to your tax bill in the current year. This is because of the taxes you will have to pay since the amount converted will be included in taxable income for the year conversion is done. However, you can view this as a sort of evening out, since you would have paid taxes on the money you put into your Roth IRA the year you contributed if you initially invested into a Roth account. A conversion from a traditional IRA to a Roth IRA will be most beneficial when you earn too much to contribute to a Roth in the current year but expect to have a higher tax rate when you retire. You also need to keep in mind that the amount of money being converted, when added to your current years’ income, could move you into a higher tax bracket or subject you to taxes that you wouldn’t otherwise have to pay. This is especially true for retirees who also collect Social Security benefits and Medicare. It will be included as income used to determine to what degree Social Security is taxable and what Medicare premiums beneficiaries will pay. This is another reason it is always best to seek a tax advisor when switching to a Roth IRA over attempting the DIY route. Another good time to convert is when your existing IRA account has suffered recent losses. You will owe less tax at conversion time and actually have a more significant potential for tax-free growth. You won’t have to pay the conversion tax until you file your tax return the following year. Those whose income exceeds the limits to contribute directly to a Roth IRA may opt for a strategy called an indirect or “back door” contribution. This involves first contributing to a non-deductible traditional IRA (available to investors without caps on income) for the year and then converting it afterward. Taking advantage of this strategy can enable those with high earnings to still take advantage of contributions if they follow the appropriate process. Consult with your planner or accountant prior to attempting this strategy. However, this can be a tricky process and should be left to a financial advisor. There are three options to convert your traditional IRA to a Roth IRA: a trustee-to-trustee transfer, same trustee transfer, and a 60-day rollover. While most major brokerage firms will make it easy for you to convert to a Roth IRA, the simplest way will be for you to make a direct trustee-to-trustee transfer from one financial institution to the other. Not only is it the easiest way to transfer, but it also virtually eliminates the possibility that your traditional IRA account funds will become taxable. All you have to do is tell your traditional IRA trustee to direct the funds to the trustee of your Roth IRA account. This is actually an even easier option since your funds will essentially stay put. If you would like to keep your money within the institution you already have your traditional IRA with, then you should be able to simply tell your financial institution that you would like to transfer an amount from your traditional IRA to your Roth IRA. You can even take direct delivery of your traditional IRA funds by way of a check made payable to you personally and then roll those funds over into a Roth IRA account. However, you will only have 60 days from the time of the distribution to do so. If you don’t comply with the 60-day rule, the amount of the distribution, minus the non-deductible contributions, will be subject to taxes in the year received. The conversion also will not take place and the IRS will tack on a 10 percent early distribution penalty. Not ideal! While the benefits of converting from a traditional IRA to a Roth IRA are clear, it’s still a big decision to make, and one that you should not make on a whim. The financial advisors at Pure Financial are here to help you through the process. Contact us today!